A Housing First system orientation recognizes that people experiencing homelessness—like all people—need the safety and stability of a home in order to best address challenges and pursue opportunities. 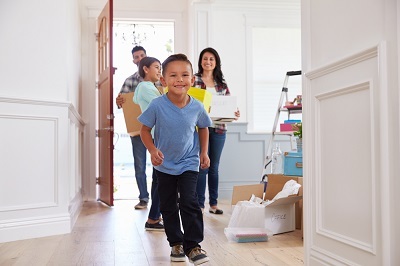 The Housing First approach connects people back to a home as quickly as possible, while making readily available the services that people may need to be stable and secure. Street outreach providers, emergency shelters, and other parts of the crisis response system are working closely with housing providers to connect people to permanent housing as quickly as possible. The community has a data-driven coordinated assessment system for matching people experiencing homelessness to the most appropriate housing and services based on their needs. The community has a unified and streamlined process for applying for rapid re-housing, supportive housing, and/or other housing interventions. Community leaders work collaboratively to ensure that a range of affordable and supportive housing options and models are available to meet local needs. Policies and regulations related to supportive housing, social and health services, benefit and entitlement programs, and other essential services do not create needless barriers to housing. Communities work to ensure that people are not evicted back into homelessness whenever possible.